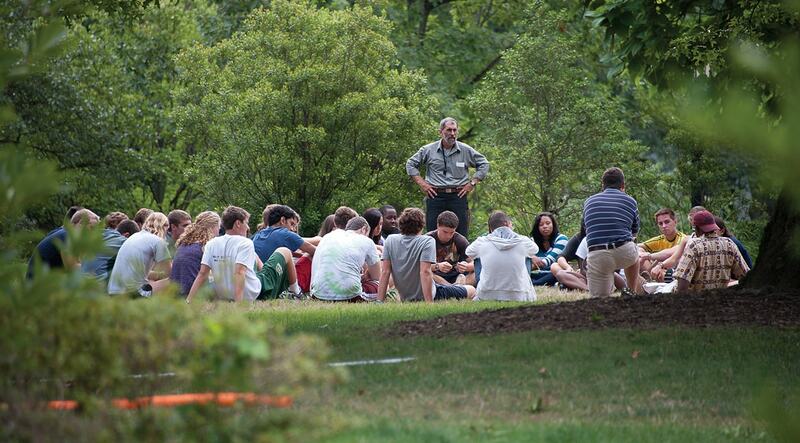 Western Reserve Academy, in Hudson, Ohio, is one of the top boarding schools in the country, with the advantage of being rooted in Midwestern values: integrity…friendliness…diversity…and a deep desire for earning achievement through hard work. 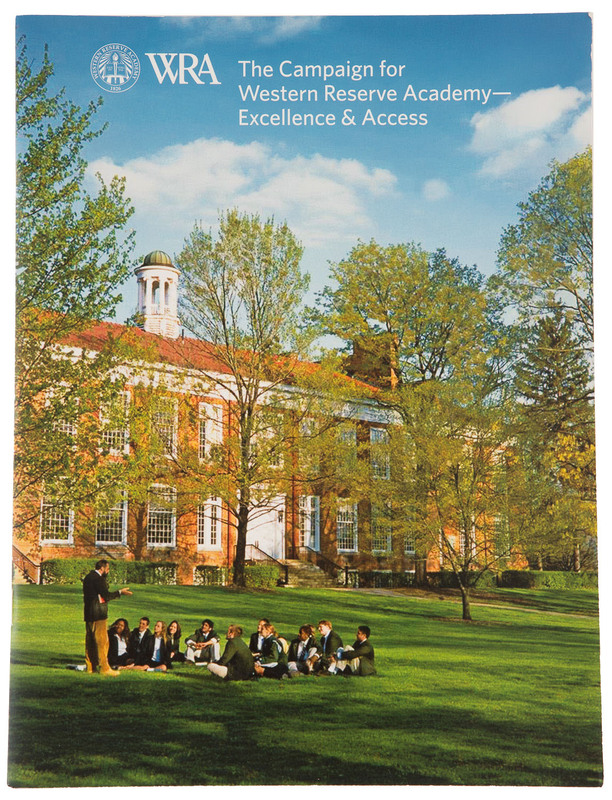 Marts & Lundy Communications was pleased to support The Campaign for Western Reserve Academy―Excellence & Access, a $75 million initiative that addressed three pillars critical to the school’s mission: its faculty and academic program, a diverse student body, and an unparalleled campus. 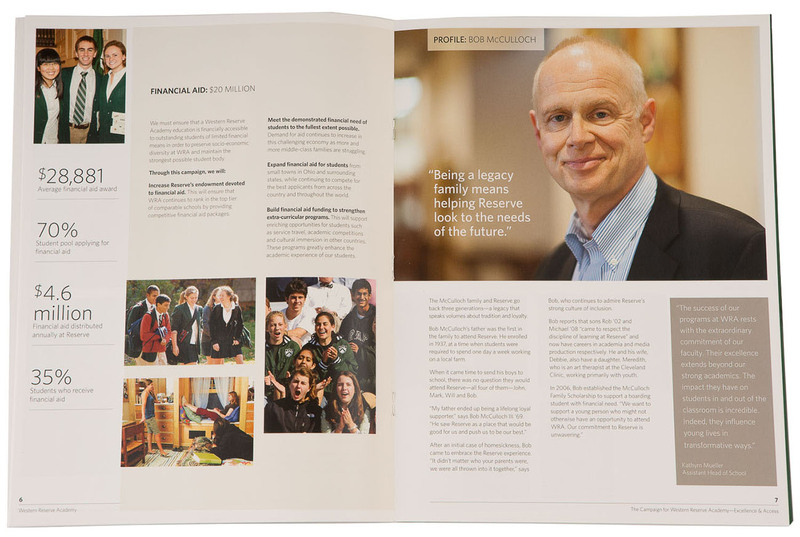 Our messaging, case work and campaign branding included a series of leadership profiles, each giving testament to the lifelong impact of a Reserve education. Our team assumed responsibility for all writing, design and photography, resulting in an award-winning document on behalf of our client. 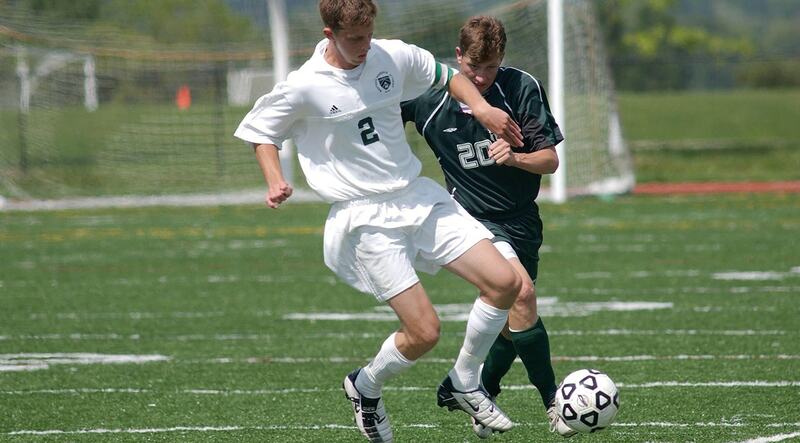 The campaign has served as a rallying call for the Reserve community. 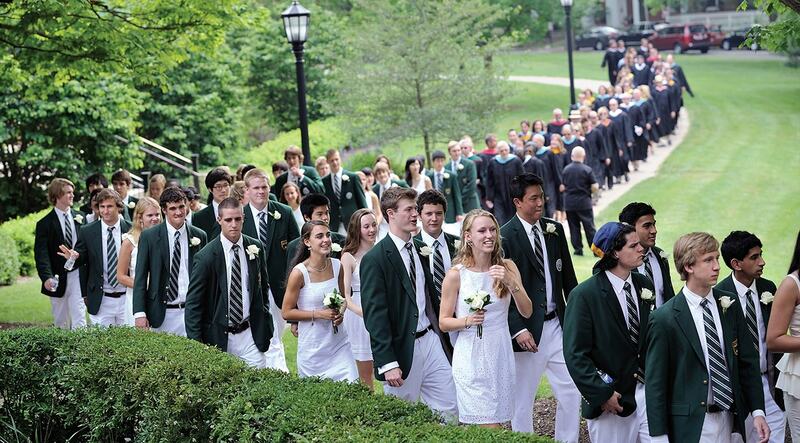 It has highlighted the values of excellence, integrity and compassion, and reminded alumni, friends and donors that walking the paths of Brick Row―the school’s emotional heart―is an experience worth preserving for future generations. 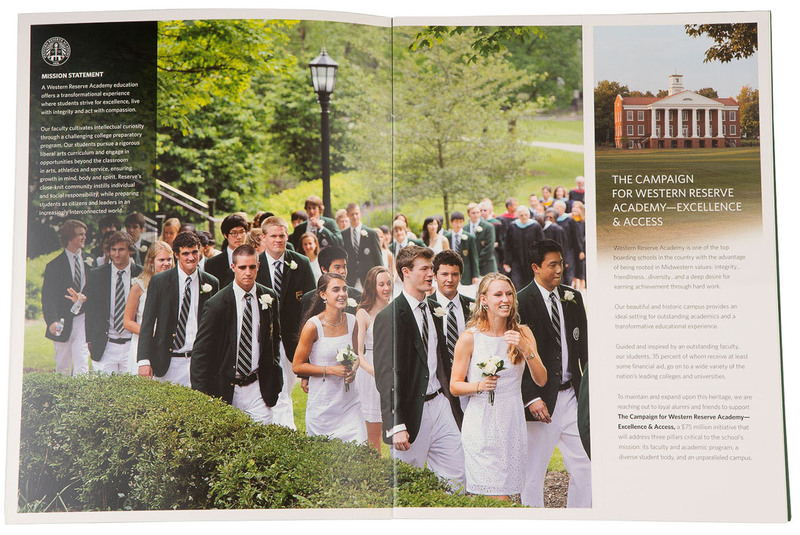 The campaign is heading swiftly toward successful completion, with impact across campus, including: 4 new endowed faculty chairs, 22 new endowed scholarship funds, more than $13 million for renovation of the Reserve’s central academic building, and more than $22 million for future Heritage Society gifts.